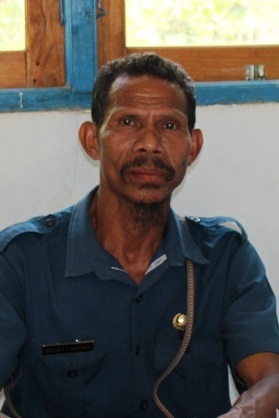 The atmosphere in GMIT Oeupun Secondary School, Sub-district of South Amanuban, Regency of South Central Timor, on Thursday (16/11/2017) in the daylight was different from usual. The school “dressed up” so well. At 11.00 of ICT, the sound of Natoni floated in the air. The voice of traditional figures loudly voiced, one after another. The students had their own way, dancing joyfully. They did not care about the heat of the sun. Around 200 students, their parents and teachers came together to express their happiness. They welcomed Executive Director of Tanaoba Lais Manekat Foundation (YTLM), Rozali Husein, Board Chief of TLM, Drs. 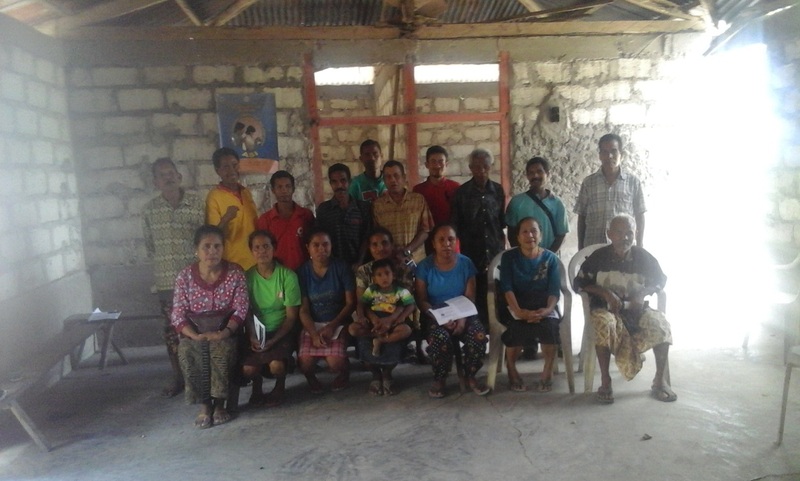 Julius Riwu Kaho and several staff of TLM Foundation. Welcome symbol and expression of happiness was showed by traditional shawl wrapping. So festive. Gong and kettledrum kept reverberating to enliven the atmosphere. 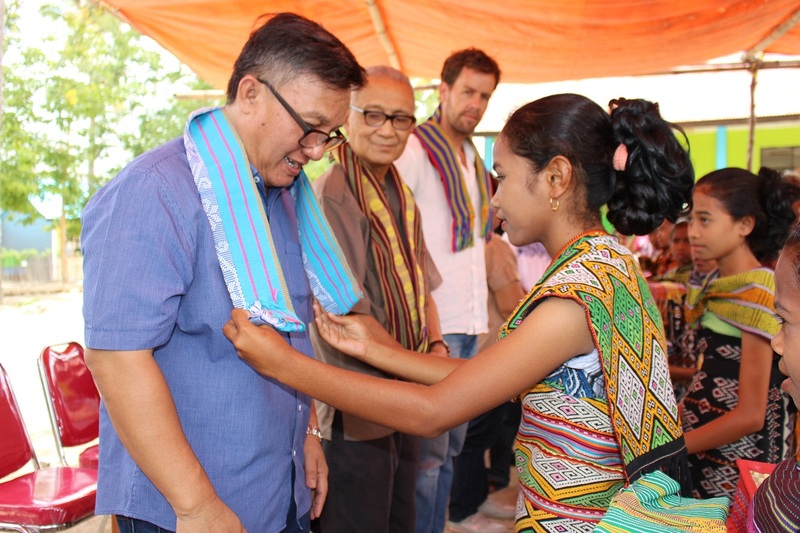 The coming of TLM Foundation Executive Director, Rozali Husein and Board Chief, Julius Riwu Kaho was to inaugurate program of WASH (water, Sanitation, and Hygiene). 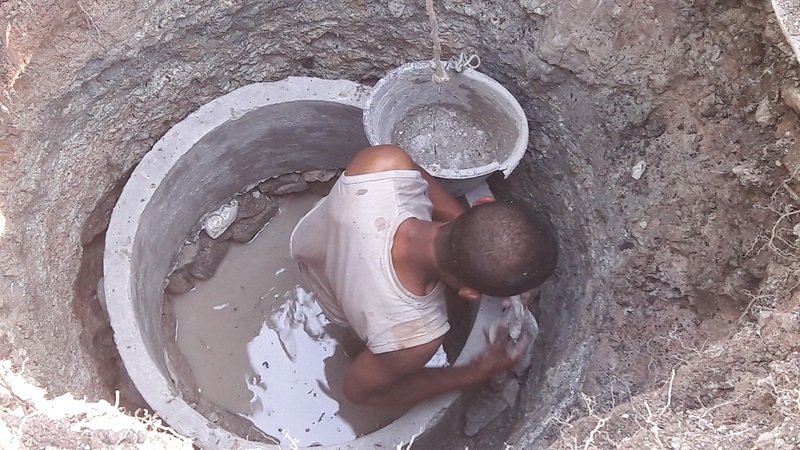 WASH is a program initiated by TLM Foundation to provide facilities, infrastructures, trainings and access of information and knowledge for village community about environment sanitation and hygiene. 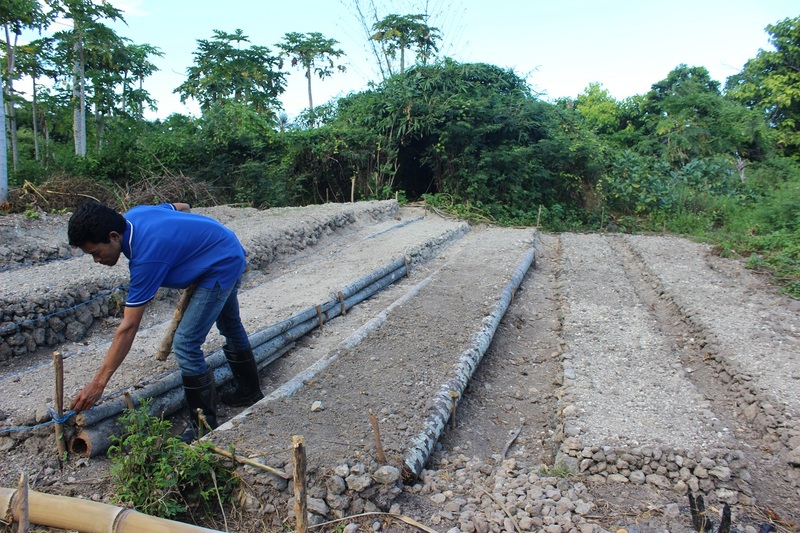 Aside from that, the purpose of this program is to increase the community economy through productive garden program and water infrastructure whether for productive garden or WASH program implementation. 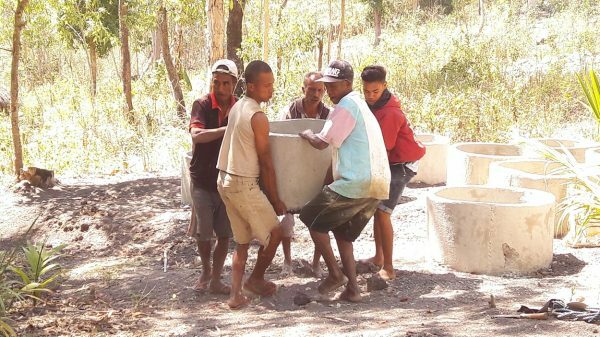 As one of social foundation or non-governmental organization that has been working for decades in NTT, TLM GMIT Foundation has done many of empowerment activities in several villages in NTT. 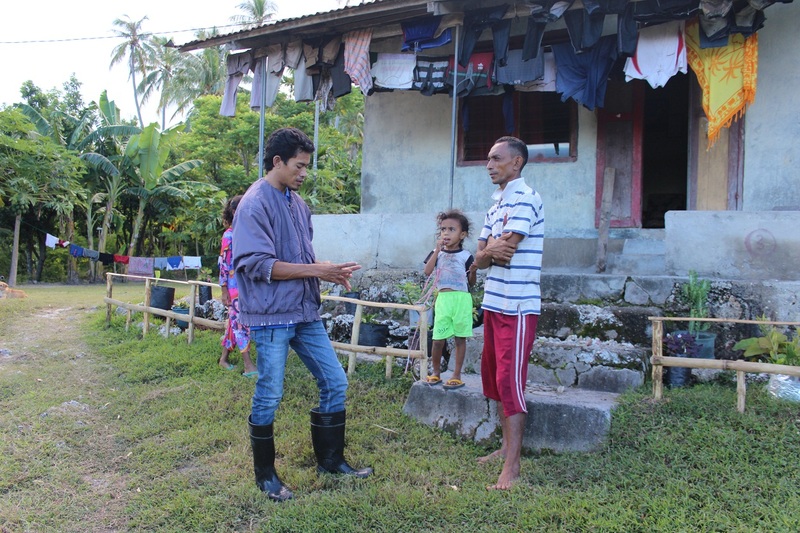 Currently, TLM foundation service areas are located in Kupang municipal, Kupang Regency, TTS (South Central Timor), Rote Ndao Regency, East Sumba Regency and Sabu Raijua Regency through educated villages. After the welcome ceremony and shawl wrapping, the ceremony was continued with thanksgiving service led by Rev. Johana Ndun Zakaria, who is the Assembly Chairman of Rehobot Church in Kiubaat. Thanksgiving service was followed by speeches. At that opportunity, the principle of Kiubaat Public Junior High School, Gustaf Sikki and Kiubaat village 1 head, Lazar Tefu together delivered their gratitude to TLM foundation for its care for two institutions in Kiubaat by providing water access that they had been longing for. It is something they had never expected before and finally it does exist now, right in front of their eyes. Village community just needs to take care of it well and enjoy it. Meanwhile, Board chief of the foundation, Julius Riwu Kaho reminded schools and church, village government and village community not to see WASH program as TLM’s own program. If damage occurred, school and community should be responsible to fix it. Julius asked schools and community to take care and maintain the hydraulic ram technology responsibly. Water from pipes should not be drunk directly because it contains high e coli bacteria, so it should be boiled and filtered first. 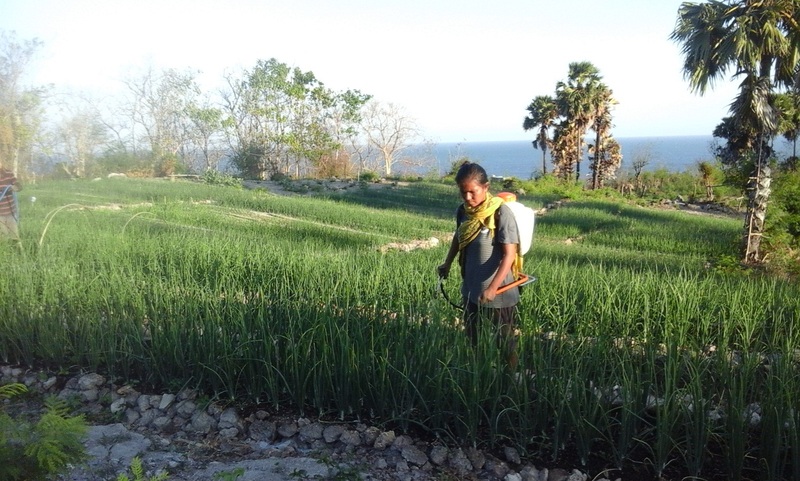 “the utilization of the water is just for MCK (mandi, cuci, kakus – bathing, washing and water toilet) and school garden. 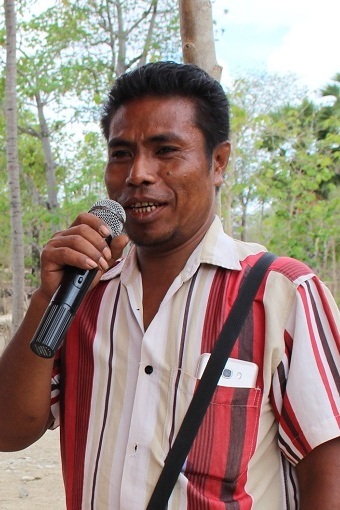 As for village government, please provide socialization to village community to not randomly using the area around river as toilet to decrease environment pollution”, said Julius. 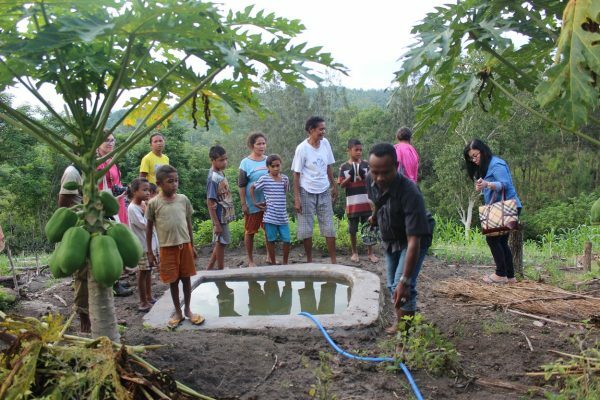 The climax of the inauguration ceremony was when the students washed their hands directly from fiber tank tap, followed by the planting of five swietenia mahoni tree saplings by TLM Board Chief, TLM Executive Director, Principle of GMIT Oeupun Elementary school, School Committee Chief, and a student. The ceremony was closed by having lunch together. Previously, on Wednesday (15/11/2017). 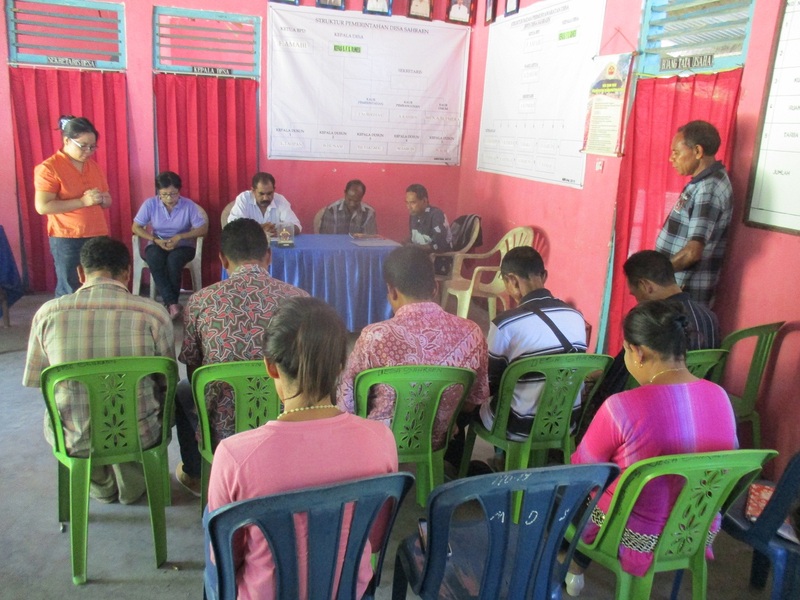 TLM Executive Director, Rozali Husein said that one of TLM educated villages is Kiubaad, South Amanuban sub-district, South Central Timor regency. 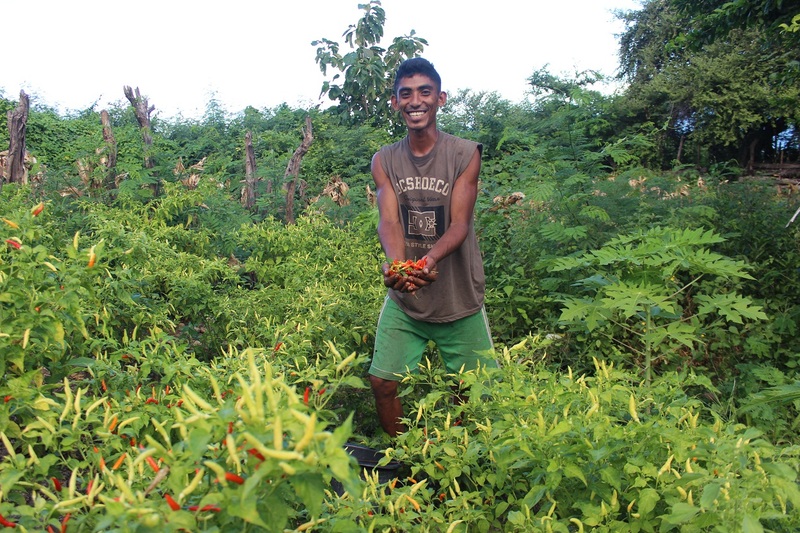 TLM foundation has been implementing productive garden program in this village since 2015. 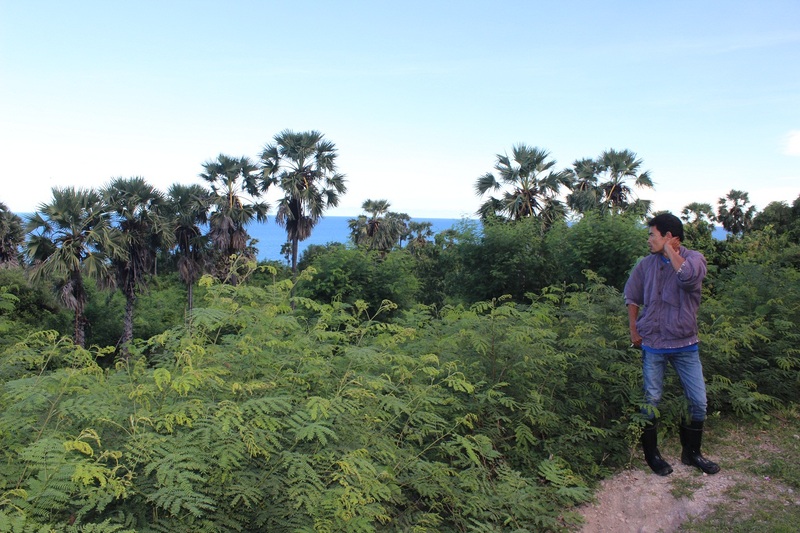 Kiubaan is isolated. The area is mountainous. The land is very dry and tends to be calcareous. Barren. Low rainfall. “for all this time, people in Kiubaat only depended on limited small river flow as their water source need, included for agriculture. 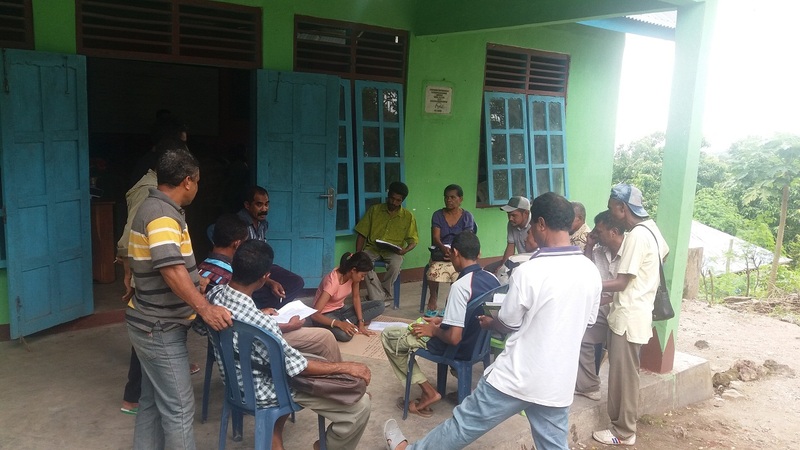 This condition motivated TLM foundation to plan a river utilization strategy to make river water can be used maximally in larger amount”, explained Rozali. 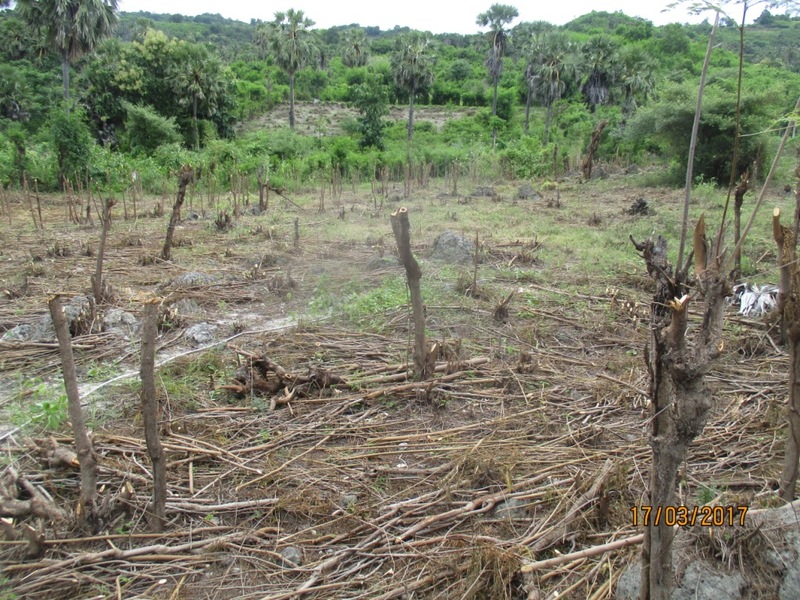 To not let this condition keeps happening; Rozali added that in 2016, TLM built a dam in the river to accommodate water for productive garden. Because productive garden is located higher than the river, TLM use hydraulic ram or hydram technology to pump the water without electricity. The success of hydram technology use in productive garden, as admitted by Rozali, became an indicator for TLM to irrigate the water from the same source to GMIT Oeupun elementary school. Rozali said that challenge faced by TLM is the location of school which is higher than the location of productive garden. 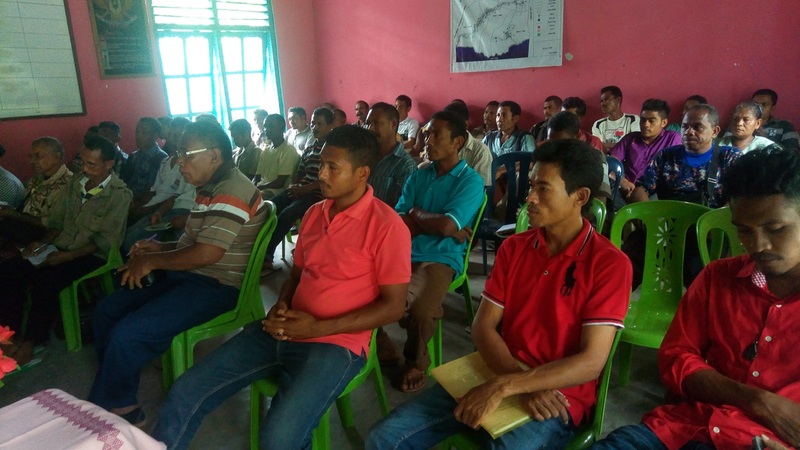 But, with the capability of human resources, renewal of hydram technology and support for school party and village community, TLM started WASH program. Rozali admitted that the installation process and provision of infrastructure was conducted in about two months. 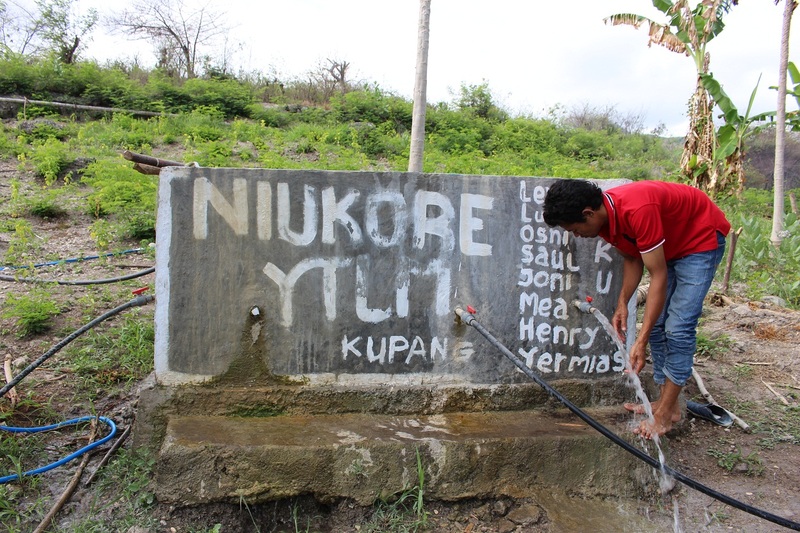 The process finished on 16 November 2017, and followed by inauguration, the handover of water infrastructure utilization from TLM Foundation to GMIT Oeupun Elementary school and Kiubaat Public Middle School (14 teachers and 202 students). 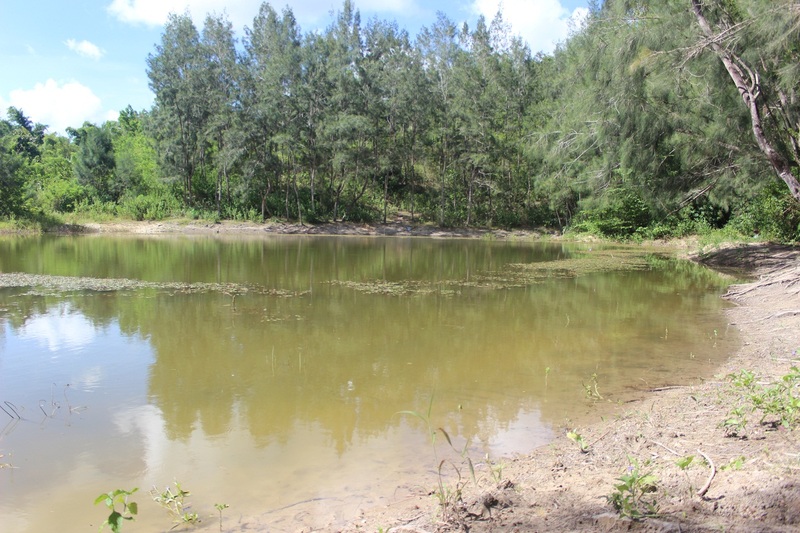 Kiubaat who was barren is now a ‘Paradise’. This is a great blessing of God through TLM foundation who have worked so hard to provide water infrastructure, whether it is dam, piping, hydram pump installation, water tanks, in primary and junior high school and moreover helped us by providing sanitation facilities such as wash basins, water taps in front of classroom, and hand basins for students and teacher. 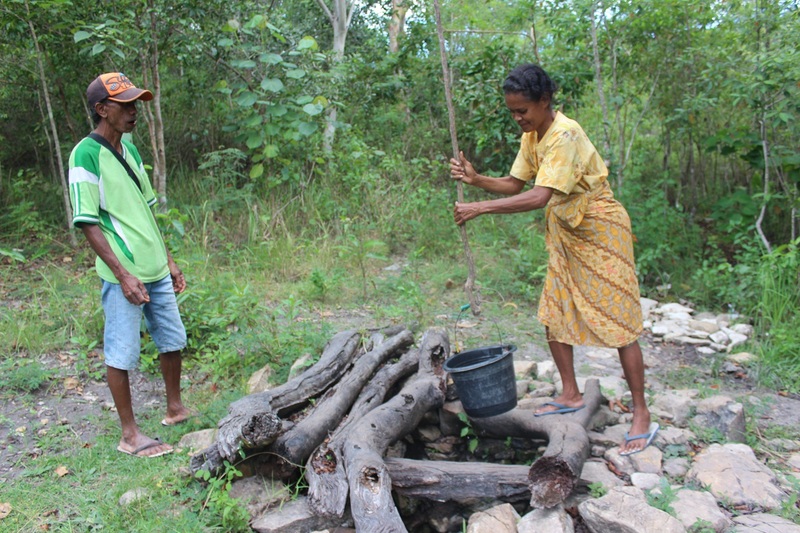 Before TLM started this project in our village, we could not water the plant and it was even more difficult to wash our hand, especially for water for toilet. Our students had to bring water in 5 liter jerrycan from home every day while the distance from home to school is about 3 kilometers. If they did not bring it, then they should take it from the river. It caused them to be tired when studying. 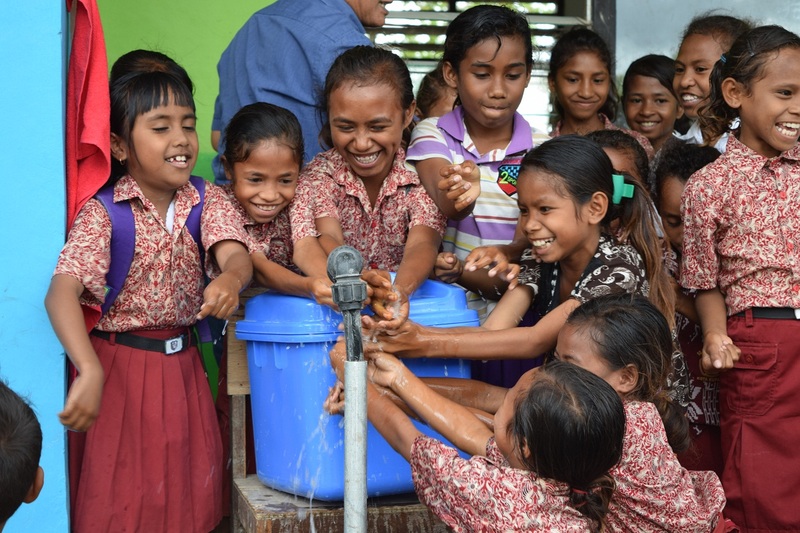 We are so grateful that water is now available in school so the students can start studying on time, they can study effectively so maybe they can have better achievement in the future. We are so thankful for the help from TLM Foundation that have brought clean water to both school in Kiubaat. 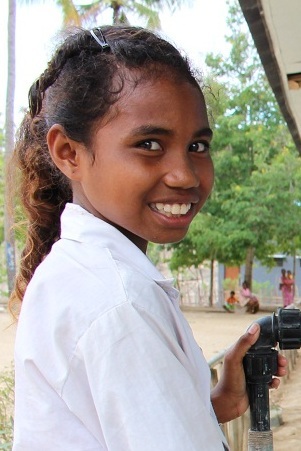 It has been decades that our students had to bring water from home every day with 3 kilometers distance. 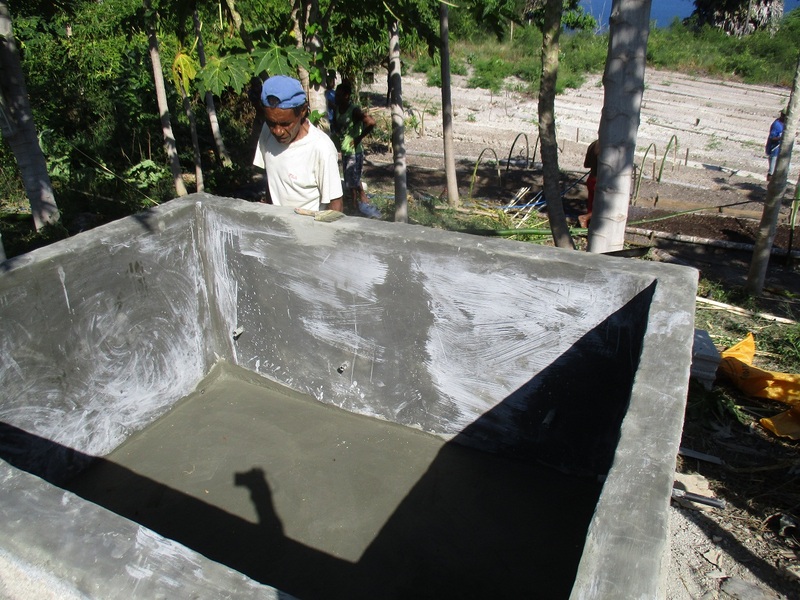 With this water project, we can now use the water to wash our hands, water our plants and even for toilet need. I am so grateful for the existence of water in our school. It makes my friends and I can take water directly from school to water our yard, plants and clean our classroom better. 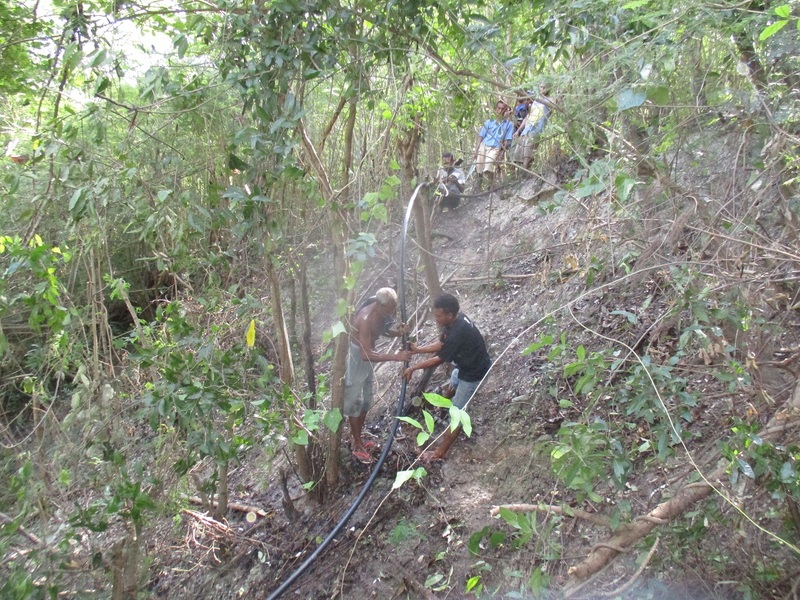 Compared to the previous condition, we had to bring water from home every day. Thank you TLM foundation, we have water in our school now. Of course we are so happy about this water project procurement. Now it is not hard anymore of us to attain clean water. Before this, we had to bring jerrycan full of water from home to school or from river to school. Thank you TLM foundation, God bless your service. On 2014, Government declared a policy to establish nation from village and it is followed up by the published of Village Law Number 6 Year 2014. Villages are given autonomy to manage the establishment from planning to developing. 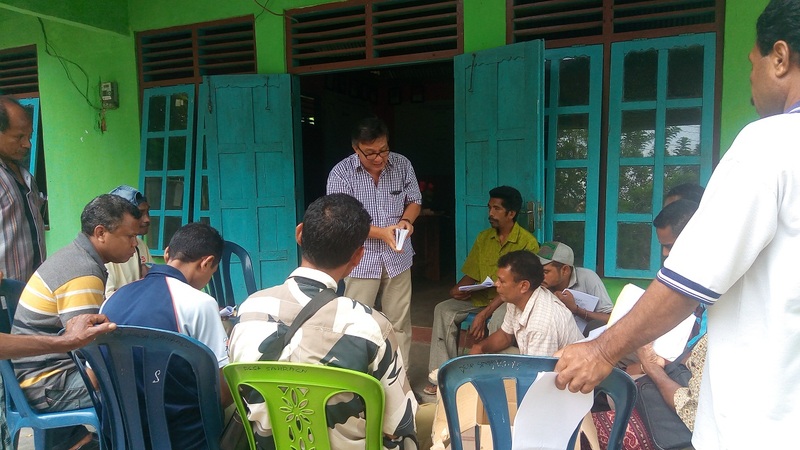 Every year, Government provide village fund from APBN (Regional Revenues and Expenditures Budget). The management of the budget is the responsibility of village officials and village community. TLM Foundation takes part to improve the capacity of the officials and the community to. 1.Measuring the distance between spring source and productive garden. 3.Making of 2 water tanks. 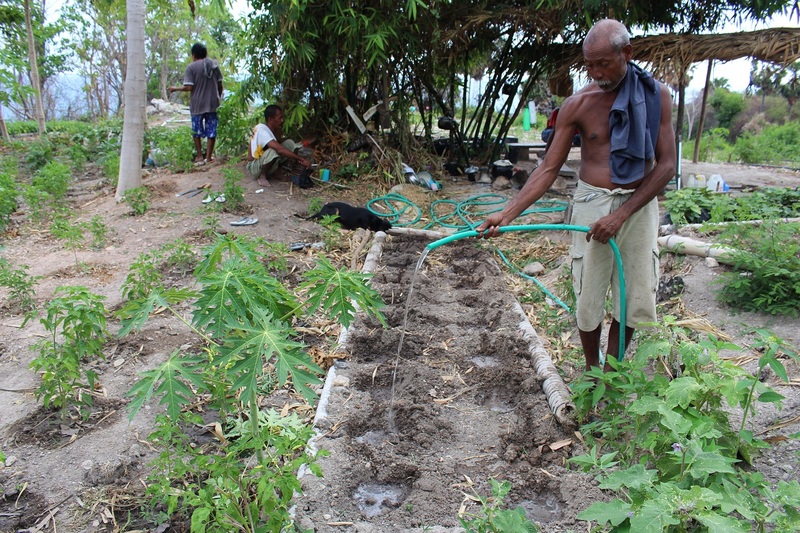 This project is really helpful to water horticultural plants in productive garden so the members do not need to walk for miles to get water. TLM foundation invited Sahraen community to transform 40m x 150m unproductive land into productive garden as source of additional income. 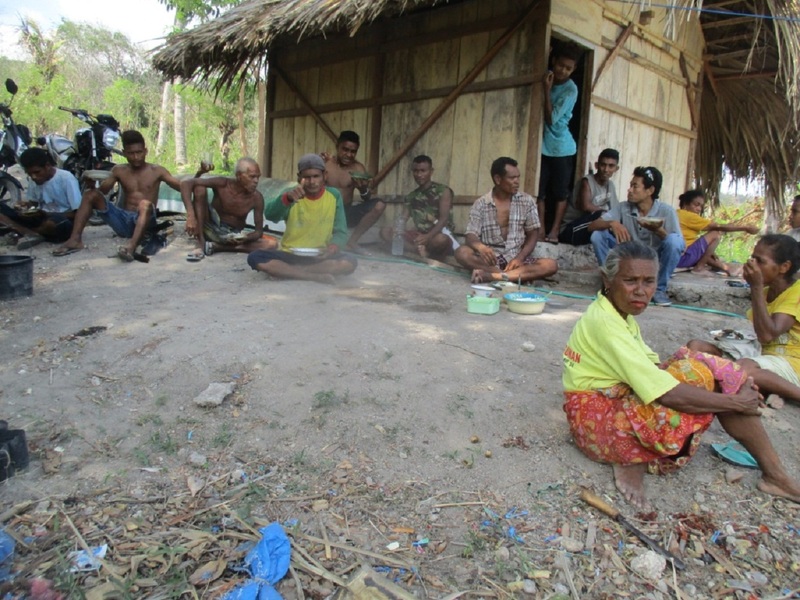 Productive garden in Sahraen is named “Niu Kore” which means “asam pendek/short tamarind tree”, with 10 family heads as members (38 people). 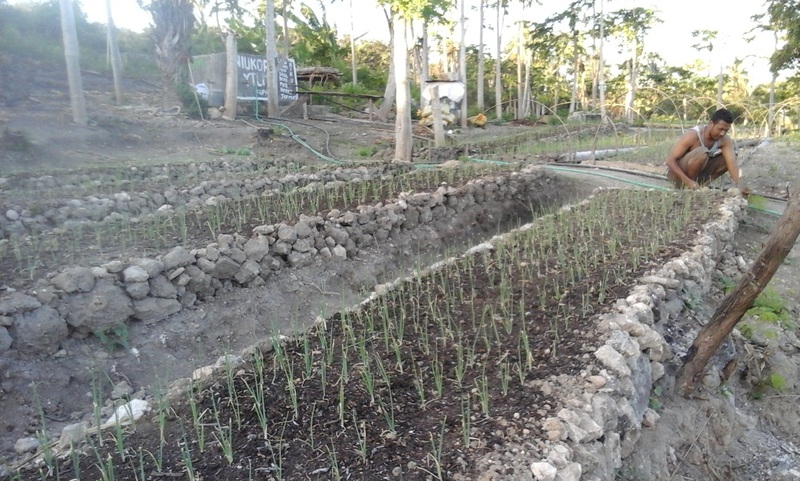 This garden began to be processed since 2017 by planting red onions, cos lettuce, water spinach, spinach and chili. 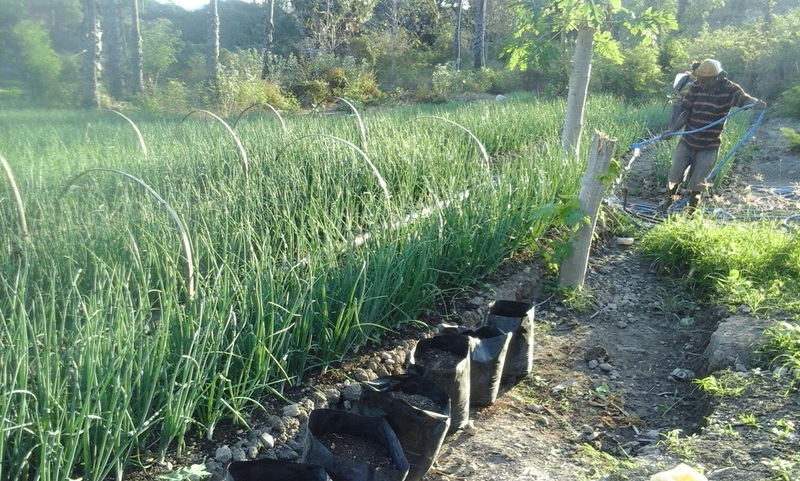 All the plants were planted organically making them safe to consume and good to sell. The garden members has already harvested their yields. 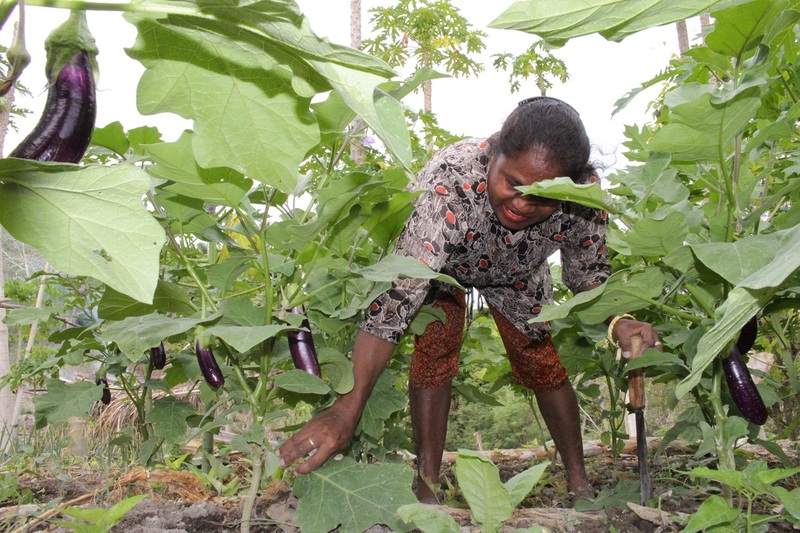 They now can enjoy organic vegetables, especially red onions. 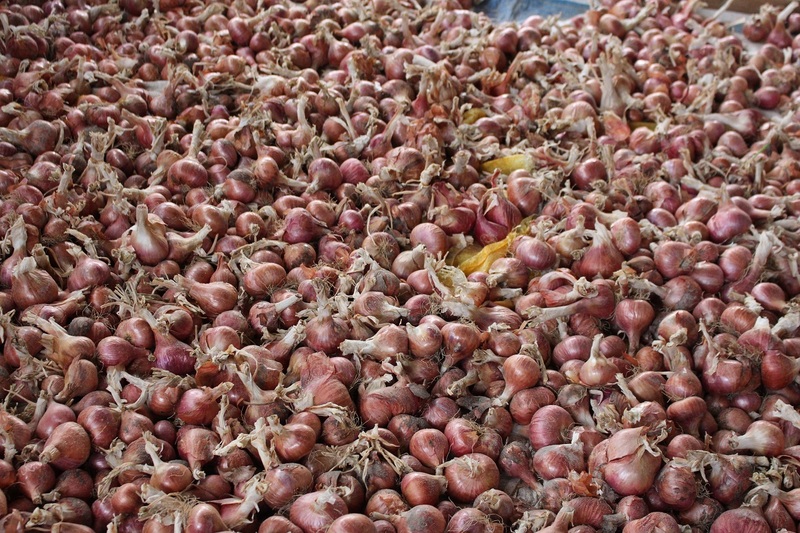 Members have produced 1.350 kg gross of red onion that are ready to sell. 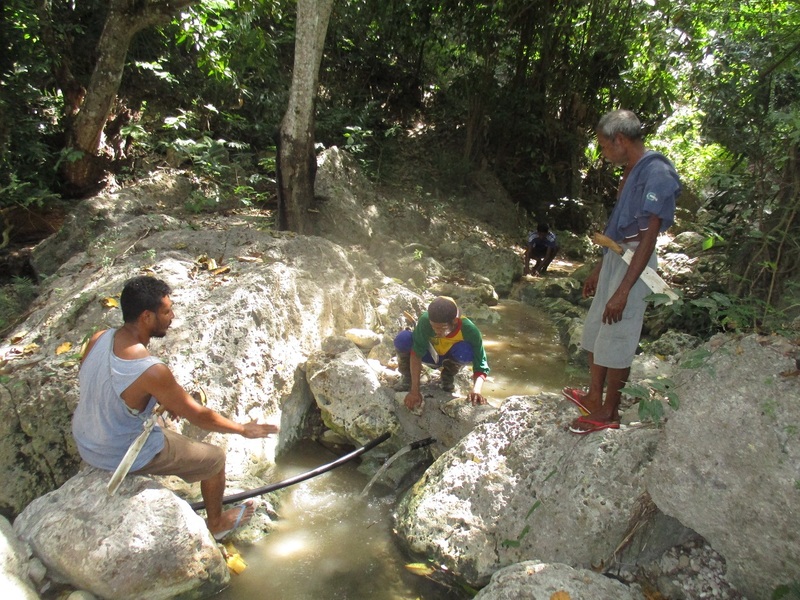 Productive garden water project procurement in Enonabuasa uses natural spring water that is located 20metre lower than productive garden area. 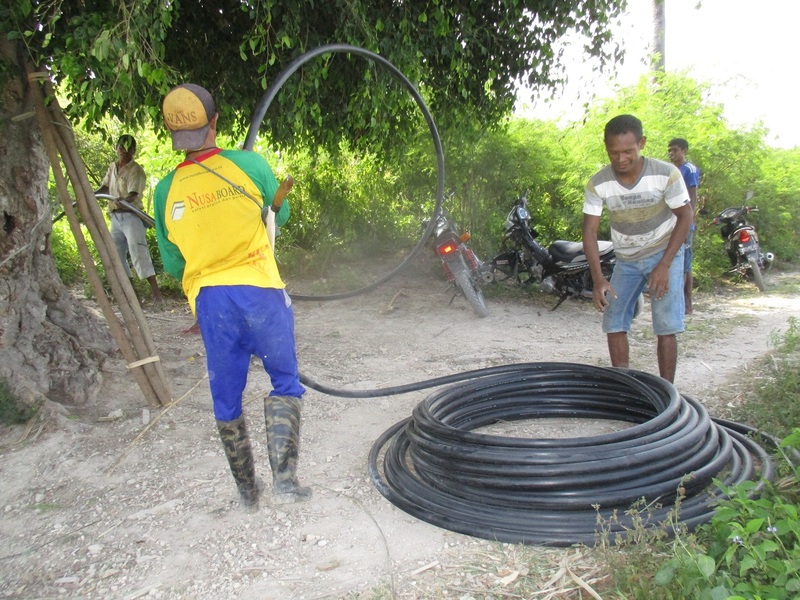 To irrigate water from source to garden, TLM together with local people use generator set pump machine to ease and save energy in irrigating horticultural plants in productive garden. Water tank around productive garden area. Traditional well around productive garden area. Well provided by TLM is ready to be used.